A Roth IRA is a powerful way to fund your retirement savings. But do you know the ins-and-outs of how this particular tool works? If the answer is no, you’re not alone. Many investors often feel like all the different investment vehicles (401(k)s, IRAs, and annuities, oh my!) are a complicated, tangled web. Let’s unspool one important piece today by covering the basics of Roth IRAs, and then digging into one recently closed loophole – the IRS’s Five-Year Rule. With a Roth IRA, contributions – the funds you deposit into your account – are made from your after-tax earnings, so you never get taxed on this money again, even when you take distributions. Unlike Traditional IRAs or the earnings of your Roth IRA, there’s no rule that you wait until you’re 59 ½ years old to withdrawal your contributions penalty-free. And, no distributions are ever required! As for the earnings that your Roth IRA generates, these grow tax-free until you make a withdrawal. Only then do you have to pay taxes on the earnings piece of your savings pie. So, your earnings grow much faster this way than if you were required to pay taxes each year. (But, there is one caveat to this general rule, which we’ll discuss below). Sounds like a win-win, right? In many ways, a Roth IRA is a very attractive way to supercharge savings. But, there are some guidelines savers should consider before opening a Roth IRA, including the Five-Year Rule. Five years must have elapsed since the tax year of your first Roth contribution before the earnings can be withdrawn tax- and penalty-free. That applies to retirees of all shapes and sizes; even if you’re 110 years old, the rule applies to you. This rule does not apply to subsequent contributions – only the initial one starts the clock. How exactly does the IRS calculate the five years? They use the tax year. Say, for instance, that you opened a Roth IRA on July 1 of 2018. The day isn’t relevant to the IRS. Instead, they only consider that you opened the account in the 2018 tax year. In this example, you wouldn’t be able to withdraw the earnings from your Roth IRA until January 1 of 2023 without paying a penalty. This is true even if you’re over the age of 59 ½. Time – or timing – is of the essence, here. If you strategically plan the timing of when you open your Roth IRA, you really only have to wait four years. Here’s why: The IRS allows you to make contributions into a retirement account as late as April 15 for the previous tax year. If you open a Roth IRA on April 14 of 2018, it’s the same to the IRS as if you had opened it on January 1, 2017. In this example, you’ve opened the account in 2018 (same as in our illustration above) but now only have to wait until 2022 to withdraw your earnings. The penalty for an early Roth withdrawal is 10%. However, there’s another potentially significant cost when you get into the cookie jar too early. Remember that part of the appeal of the Roth IRA is that you use post-tax money to make contributions and, if all goes according to plan, your contributions and earnings will be tax-free upon withdrawal. But, if you can’t make the five years without taking out some of the earnings, you’ll be hit not only with the 10% penalty, but you’ll also be required to pay income taxes on that money as well. At the end of the day, you could end up paying 40% or more on an early earnings withdrawal. Yikes! The bottom line is to stay away from early earnings withdrawals. Now, if you need to withdraw some of your contributions, it doesn’t matter when you put them into your Roth IRA. Just keep track of the total amount, so you know how much room you have for withdrawals. And, when you make a withdrawal, the contributions come out first, meaning you can exhaust all of this money before the IRS considers your withdrawals to be from earnings. There are a handful of exceptions to the Five-Year Rule. You could withdraw the funds before five years for a first-time home purchase, if you were to become seriously ill, or if you need to pay for college for you, your children, or your grandchildren. In these cases, you won’t pay penalties nor will you pay taxes, either. 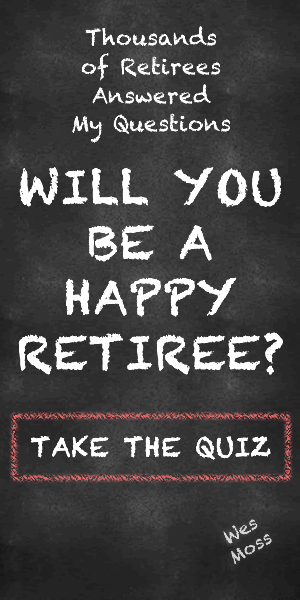 Still, the most important consideration is the long-term nature of retirement investments. It’s not just the IRS that wants you to keep your money invested longer, but likely your retirement planning advisor and the most important person in the room – you. With that in mind, the Roth IRA is one of the greatest retirement planning tools around—even with that pesky Five-Year Rule.